I love everything about the Fall: the vibrant colors, the smell of cinnamon, and the warm fluffy hats! 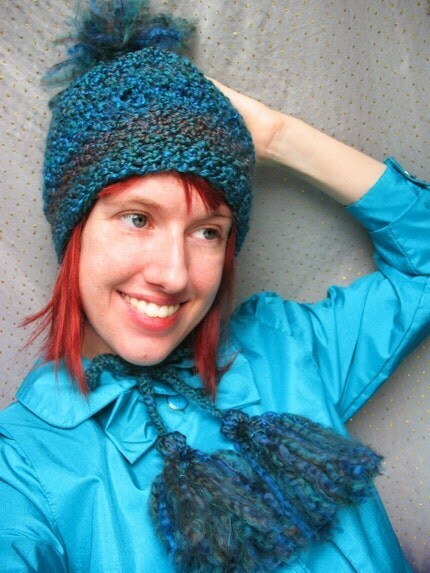 I’ve been crocheting a bunch of hats for the Fall, and the first of them is now up for sale in my shop. This one has extra-long tassels (21″ long!) and is a rich turquoise color with flecks of deep red– shown here with the tassels tied under my neck in a bow. 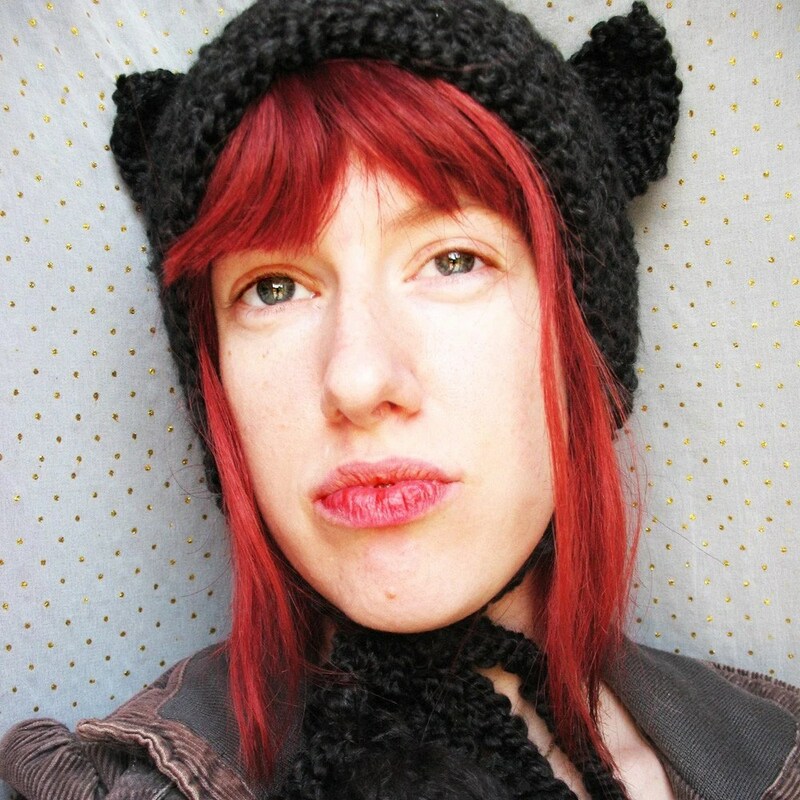 This hat SOLD right after I put up this post, but it can also be CUSTOM ORDERED in most colors you can imagine, with either short or long tassels, and with kitty ears, bunny ears, in children/baby sizes, etc! And I will be putting up other hats for sale soon.